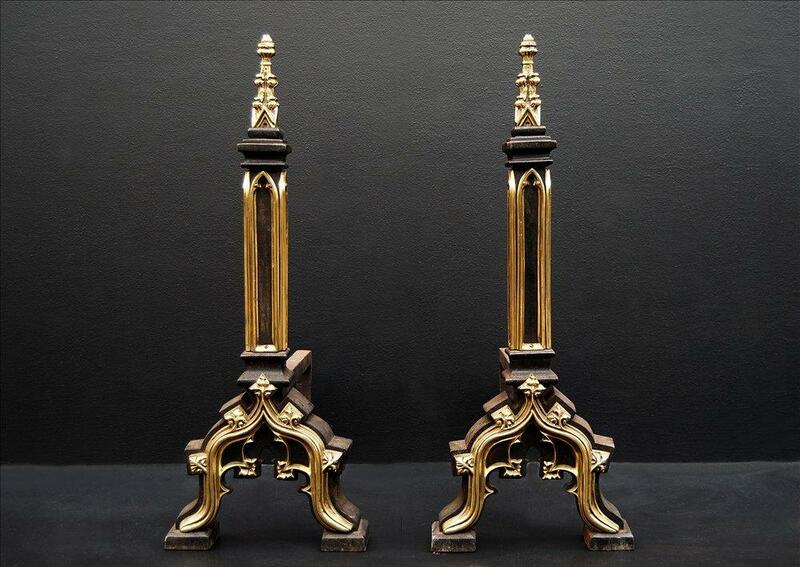 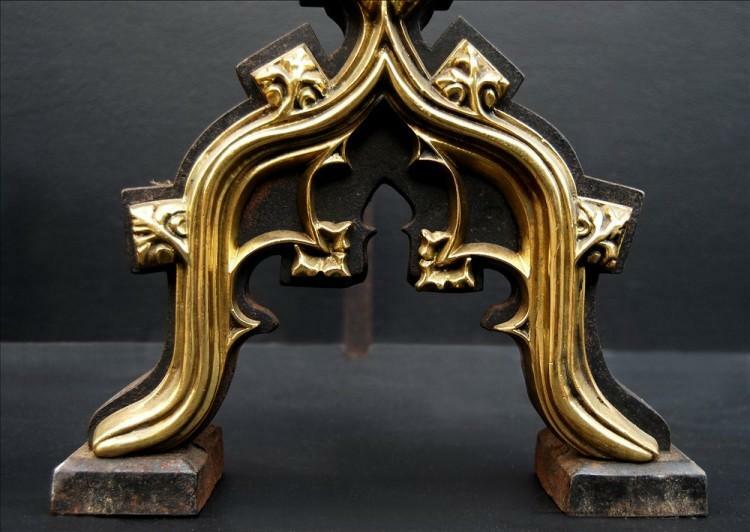 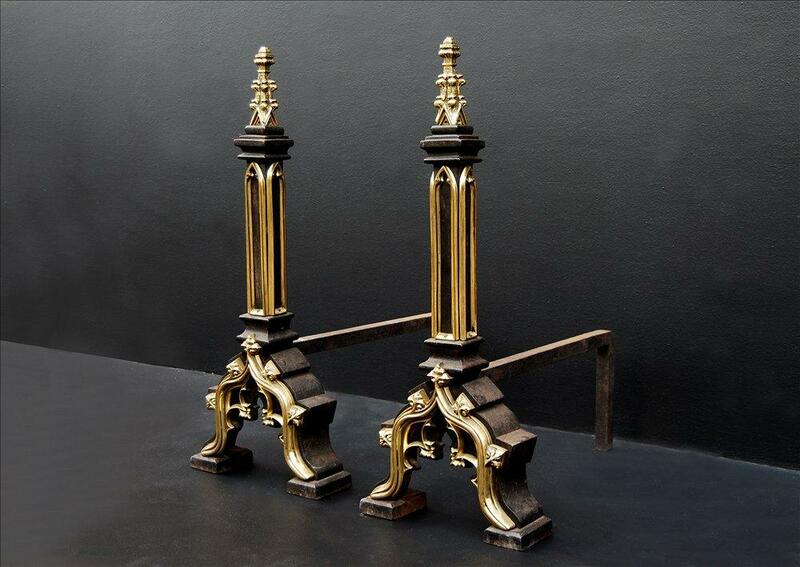 A pair of Gothic revival cast iron firedogs in the manner of Augustus Pugin. The brass enrichments finely cast. Good quality. 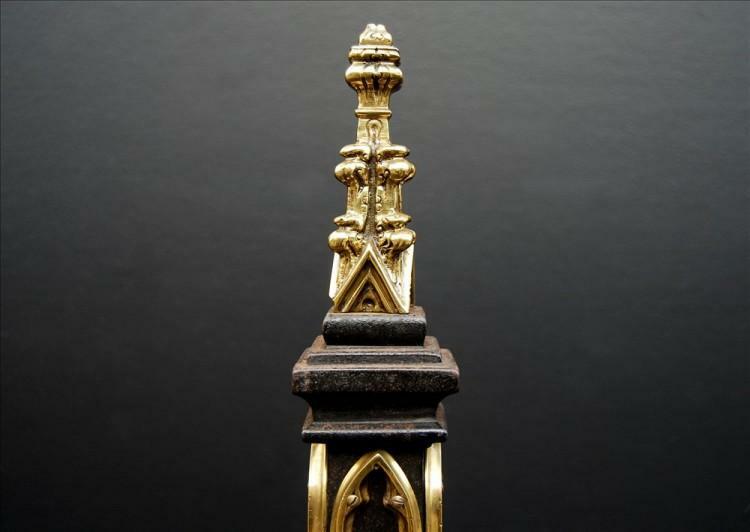 English, circa 1850. Could be polished or repainted if required.